2 The Chinese probe Chang’e-4 has successfully landed on the far side of the Earth’s natural satellite, thus making the first moon landing on the hidden side of the moon. 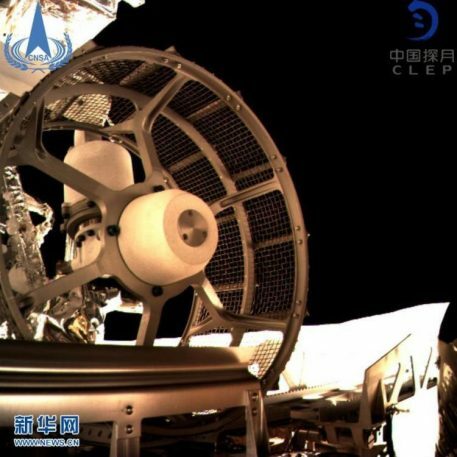 The Chinese probe Chang’e-4 has successfully landed on the far side of the Earth’s natural satellite, thus making the first moon landing on the hidden side of the moon. 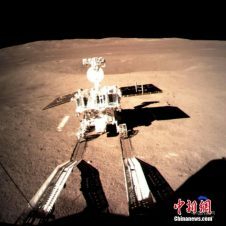 The probe, which included a lander (Chang’e-4, 嫦娥 四号) and a rover (Yutu No.2, 玉兔 二号), landed in the default zone on January 3rd at 10:26 am Beijing time. 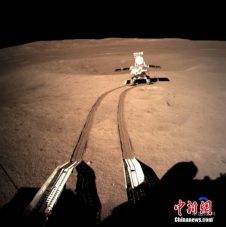 On January 4, 2019, China National Space Administration issued a statement stating that the separation process of the Yutu No.2 rover from the lander was successful. Operations are taking place according to plan. 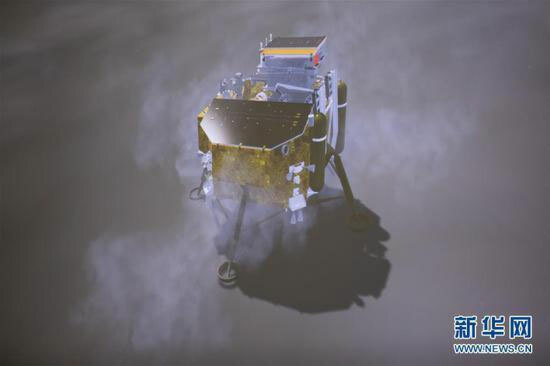 Yutu No.2 was able to connect to the Queqiao (鹊桥) communication satellite, analyze the surrounding environment and move towards a specific point, leading the first scientific exploration activities. Direct communications with Earth are impossible on the far side of the Moon since transmissions are blocked by the Moon itself. For this reason, communications must go through Queqiao, a communications relay satellite. The image shows the track’s footprint on the lunar ground of the rover. This historical images were then transmitted to Earth thanks to the Queqiao communication relay.